Tomorrow marks the end of my five month, 18-day unemployed streak. 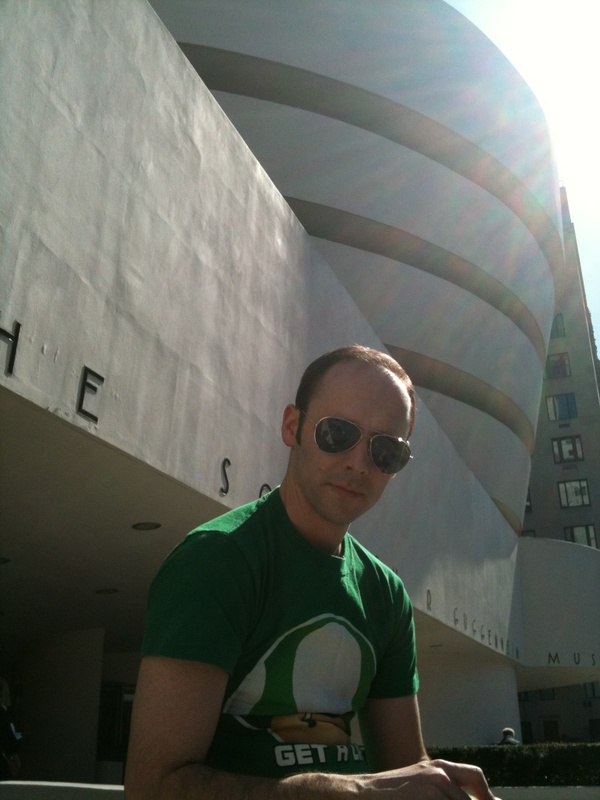 I will begin work at my first job in New York City – right in the heart of Manhattan – and I’m very excited. 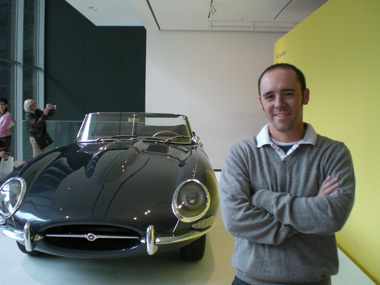 This is a shot of me at the MOMA in front of a 1963 Jaguar E-Type Roadster – and this image perfectly shows how I’m feeling about going into my first day of work tomorrow. Finally, we are getting a foothold on our new life in America. Tomorrow is the day we start laying the foundation for our future. I tried to savor this last week of freedom (I received confirmation that I’d gotten the job about a week ago), but mostly I ended up idling about, not accomplishing anything. I know full well that soon, when I’m in the throes of the daily grind, I’ll wish I had the kind of time I had in the last week – hell, in the last five months – to do whatever pleases me at the given moment. But I just couldn’t think of anything to do, so I sat around watching TV, which was perfect. Or I could not know what I’m talking about at all, and be in for a hell of a grind right off the bat. Today is the first day of my new period of unemployment. I have officially left my job. My boss knew it was coming for about nine months, ever since I enlisted his help in securing Xianyi’s visa. He has been very supportive. Over the past few months I have hired replacements and additional people to help keep the company’s operations running smoothly and efficiently. For the last couple of weeks there hasn’t been much for me to do except answer questions from people filling new roles. Of course, I’m still available to them if they need me. But imagine my relief when Xianyi got her visa. If she had been rejected, I would have been in a difficult situation, having already written myself out of the company. My time there was great. I went from an inexperienced “freelance writer” to an accomplished editor and project manager in a little under two years. My resume already landed me a phone interview that I thought I would never get with a company in NYC – although it doesn’t look like I made it to the next round with them, it was definitely a boost of confidence to have been called. 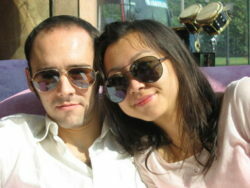 Now Xianyi and I are getting excited about the next chapter in our lives: The USA. It’s really exciting, and at the same time daunting. I know we’ll be fine, but I know lots of challenges lie ahead. The visa was just the first step. My leg is slowly getting better. I never bothered scheduling that MRI because every day it has felt a little stronger, and a bit of internet research seemed to confirm that many cases of torn cartiledge can heal themselves given enough rest, ice, and eventually exercise. And even if I’m wrong, and the knee doesn’t get back to normal after a month or so, I can always go back and get it checked out again. Surgery down the road won’t lose any advantages of surgery right now. So I opted for wait-and-see. I think this is the first weekend all month that there hasn’t been something major planned. The band did two shows this month, plus there was Coley’s birthday/Bananas and the Roller Revival. So I hopefully won’t be missing anything while I sit around trying to get better and get a job in America. I just received my first issue of True Romance magazine. Some readers might be wondering why I would pick up such a magazine. But it goes further than that, folks. I am a full-on subscriber. Certainly I am not a member of this periodical’s target market. But I’m still a fan.